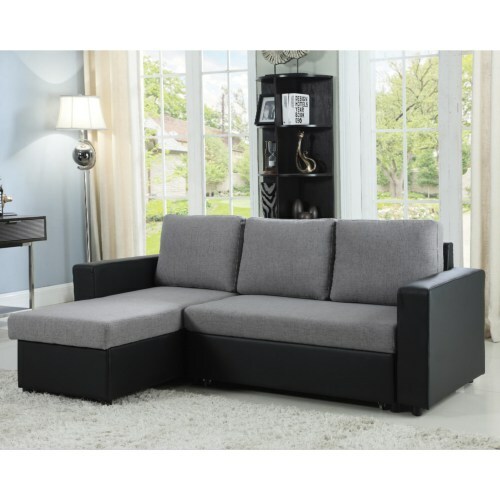 Size/Color: sectional/Grey/Black This item is currently out of stock! Having a sectional that can double as a pull out bed is perfect for small space living. 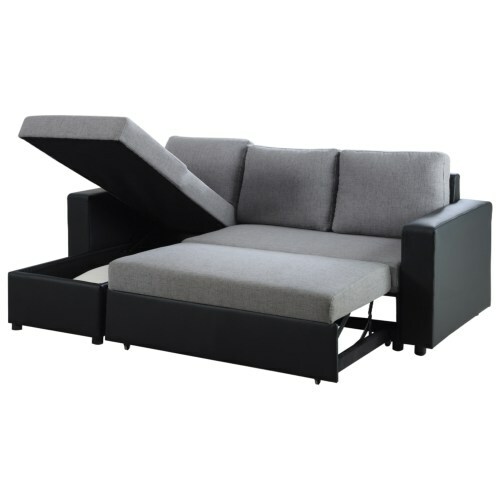 This grey fabric/black leatherette sectional also has the added benefit of being able to reverse the chaise between the left and right side.